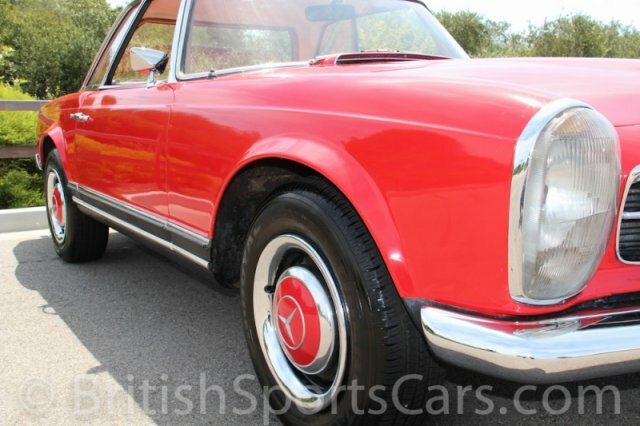 You are looking at a 1965 Mercedes 230SL that was sold new in Germany and is full European specification. 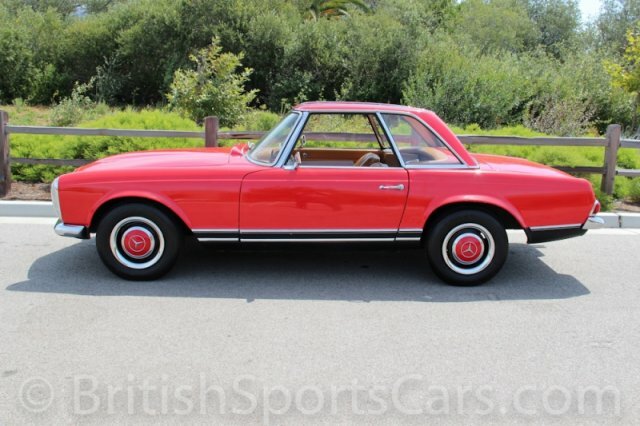 We believe this car was imported from Germany sometime in the 1970s. The car was restored in 2008 and received new paint, upholstery, and underwent all mechanical repairs that were needed at the time. 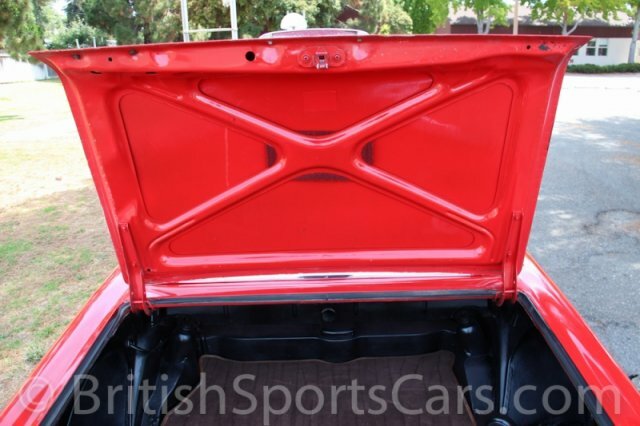 In 2013, the car received a complete injection system rebuild at a cost of over $3,000. The car is in perfect running and driving condition and drives very nicely. The paint is very nice, but does have a few small chips and scratches from general driving use. The leather upholstery was all restored in 2008 and looks great, but does show just a little wear to the driver's seat. 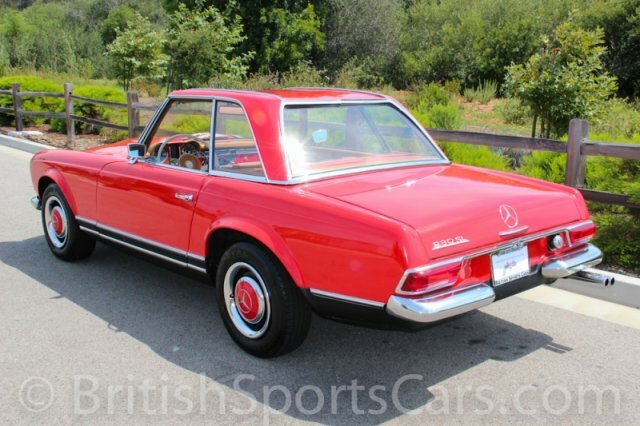 This Mercedes comes with a hardtop as well as a new cloth convertible top. 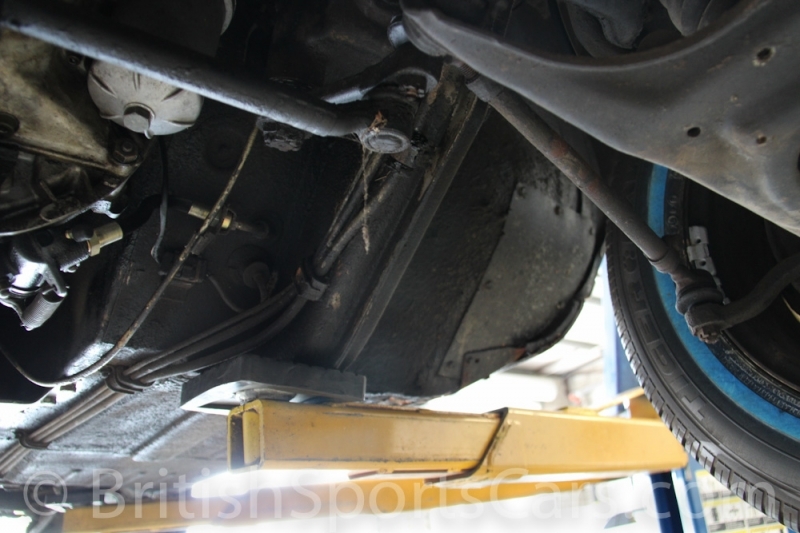 You will see in the photos that from the underside, there is some rust in the lower-rear floor sections, just in front of the rear tires. Please feel free to contact us with any questions.